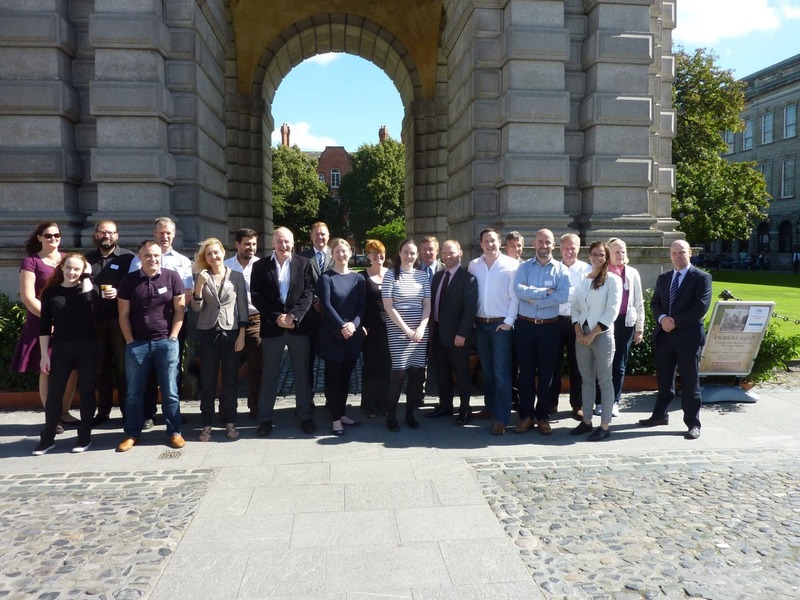 FAC Director Stephen M. Purcell attended the kick-off meeting of the EU-funded Gaming for Peace (GAP) project yesterday in Trinity College Dublin. The Horizon 2020 project is developing a new virtual reality game to train international military and police in peacekeeping skills such as communication, cultural sensitivity and gender awareness. FAC is contributing to the development of the game in a number of areas, such as providing technical support to the game development team, end-user testing and graphic user interface assessment. We will also undertake Demand Analysis & Horizon Planning (undertaking an assessment of issues at play current and potential flashpoints in terms of future conflict generating scenarios which may necessitate action on the part of stakeholders). The Gaming for Peace tool will allow personnel to role-play someone of a different gender or ethnicity or who is part of a different type of organisation, leading to greater understanding, better communication and cooperation, and more optimal performance as peacebuilders will result. The game will allow users to experience simulations of challenging scenarios from conflict and peacebuilding missions to learn communication and cooperation, gender awareness and cultural competency skills. Entering the game as avatars, players will role play as a member of another organisation, a different gender or nationality, and so will experience a variety of conflict zone scenarios from a range of different perspectives. GAP is being led by a team of researchers from sociology, computer science and psychology at Trinity College Dublin. Future Analytics Consulting is one of 14 collaborative partners from academia, military, police, and business sectors across Europe. Organisations involved include the PSNI, the Finnish military, the Polish military and Polish police, Laurea University in Finland, the Ted Kennedy Institute at NUI Maynooth, Upskill Enterprise in Belfast, and Irish computer games company Haunted Planted.